The 12th year for this wonderful weekend with Skye Humphries, Naomi Uyama, plus the Gordon Webster Band at Uptown Swing Dance on Saturday night. Always a highlight of the year. Don’t miss it! Naomi discovered Lindy Hop in her hometown of Washington DC over 17 years ago when she was in her teens. She has taught workshops all around the world and performed for dance and music legends alike. She has won champion titles at such prestigious competitions as ILHC, ULHS, ALHC, and the U.S. Open Swing Dance Championships. When she’s not traveling in the name of triple steps, decorating cakes, or loving libraries, Naomi lives in Minneapolis with her husband Peter Strom, where they also have a very active local dance studio. 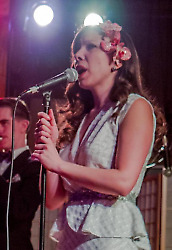 Naomi has a beautiful singing voice and has performed with some of the top national Swing bands, including the Gordon Webster Band , the Boilermaker Jazz Band and Jonathan Stout and his Campus Five . With her own band, Naomi & Her Handsome Devils, she’s appeared at major Swing events around the world. Naomi is also a regular instructor at Beantown Camp. 7:30–8:30pm Dancing Slow Learn how to find your groove with slower tempos. No partner needed, intermediate+, previous experience required. 8:45–9:45pm Solo Jazz Routine Excellent for working on individual dance skills, movement and rhythms. Learn a little routine with Jazz step basics and variations. Always a fun class! Non-partner, intermediate+, but open to all levels. 1:00–2:00pm Beginning with Basics For beginners and anyone wanting to review or refine basics. No partner or experience needed. 2:15–3:15pm Classic Moves Taking it back to moves created by the original Lindy Hoppers. Still at the heart of Lindy Hop today. No partner needed, continues on from Basics. 3:30–4:30pm Everybody Loves Charleston! For those who are new to partner Charleston or want to improve what you already know. No partner needed, continues on from Basics. 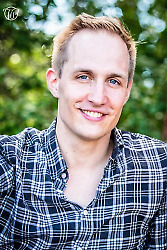 12:45–1:45pm Solo Jazz Improvisation Use solo Jazz steps to have fun and inventive jams with your fellow dancers. No partner needed, intermediate+, previous experience required. 2:00–3:00pm Fun with Variations Adding variety into your Lindy Hop. No partner needed, intermediate+, previous experience required. 3:15–4:15pm Instructor’s Choice Find out what Skye & Naomi are into these days. No partner needed, intermediate+, previous experience required. The weekend includes three days of workshops on Friday, November 23 to Sunday, November 25, 2018 at Lower Falls Community Center, Newton, MA, plus a dance with the Gordon Webster Band at Uptown Swing on Saturday night at KI, Brookline, MA. The dance includes a performance with Skye and Naomi. The workshop registration discount deadlines are Friday, September 30 for the Special Discount, Friday, October 19 for the Early Bird rate and Friday, November 16 for the Discount rate. Full payment after November 16. Workshops have closed out in the past, so register early to secure a spot.